Individually packaged toiletries for hotel customers may be a thing of the past, with major hotel chains like Marriott replacing them with larger dispensers. Next time you head out on a trip, you may want to remember your own toiletries. 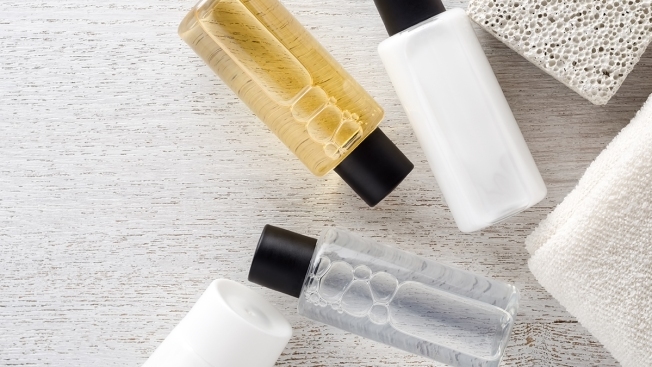 The Wall Street Journal reports that hundreds of hotels are getting rid of the tiny bottles of shampoo, conditioner and body wash. Instead, the hotels will put in bulk dispensers on bathroom walls for customers to use. According to the report, hospitality companies Marriott and InterContinental Hotels Group will roll out the changes at hotels around the country. Marriott is starting with the switch in 450 of its hotels across five brands. It plans to expand to 1,500 hotels in North America by January. IHG already has the change in place at its Kimpton brand hotels. The companies say the bulk dispensers are better for the environment. Billions of half-full bottles get thrown away every year. Several chains said they studied bottle behavior and found many travelers find the wall-mounted pumps easier to use. And, hotels told the Journal that families often complain about not having more bottles in the room to allow everyone to properly wash themselves. The new pumps would eliminate that. But not everyone is pleased by the decision. Some customers told the Journal the wall-mounted racks look "cheap." They believe it’s just another in a long string of amenity cuts from hotels, like mouthwash, stationery, sewing kits and pens. A spokesman for Marriott told the Journal that while change is cost effective, the savings will not be enormous. Each hotel will save about $2,000 a year. They believe the wall-mounted bottles will work better. A few hotel chains are actively avoiding this trend. Both Choice Hotels and Wyndham Hotel Group decided to stick with the individual bottles of toiletries. Wyndham also increased its bottle sizes to encourage more people to take them home at the end of their stay.